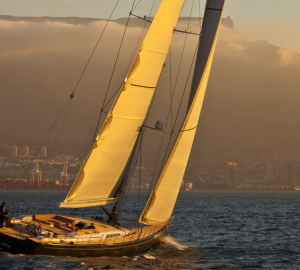 The Southern Wind Shipyards sailing yacht THALIMA, is the first SW 110 RS launched on the 31st of January 2010 in Cape Town South Africa. 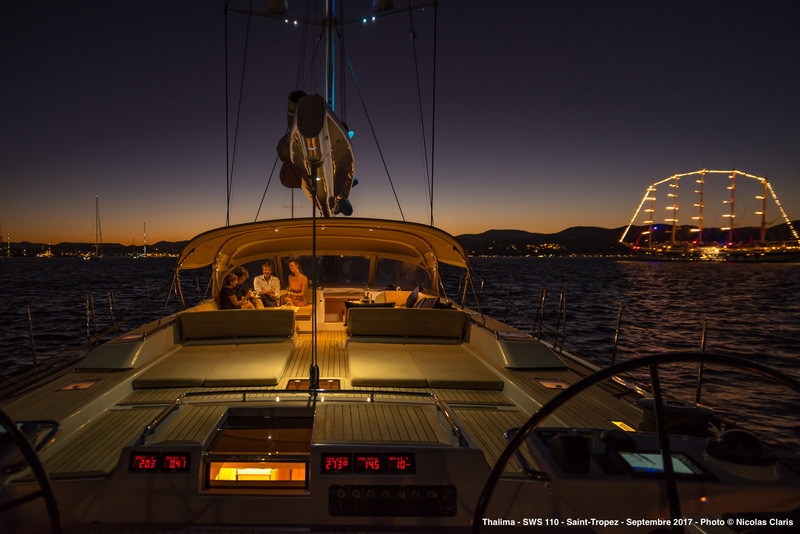 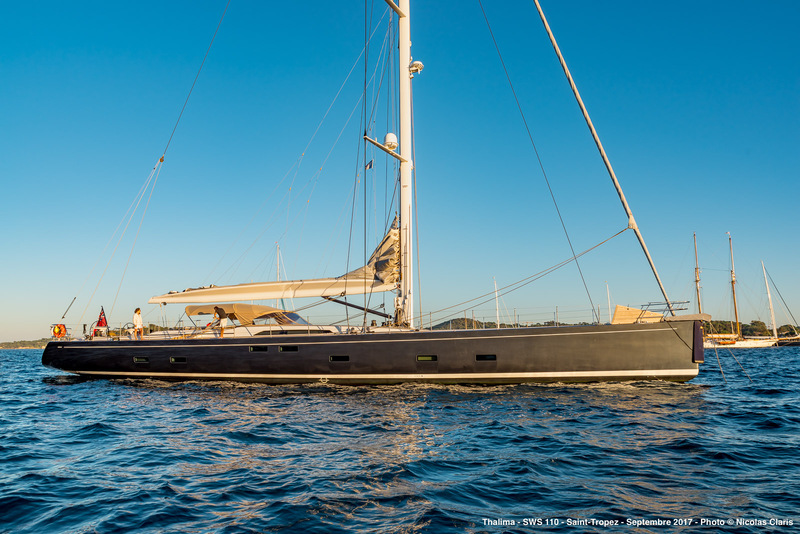 Sailing yacht Thalima is a performance cruising yacht. 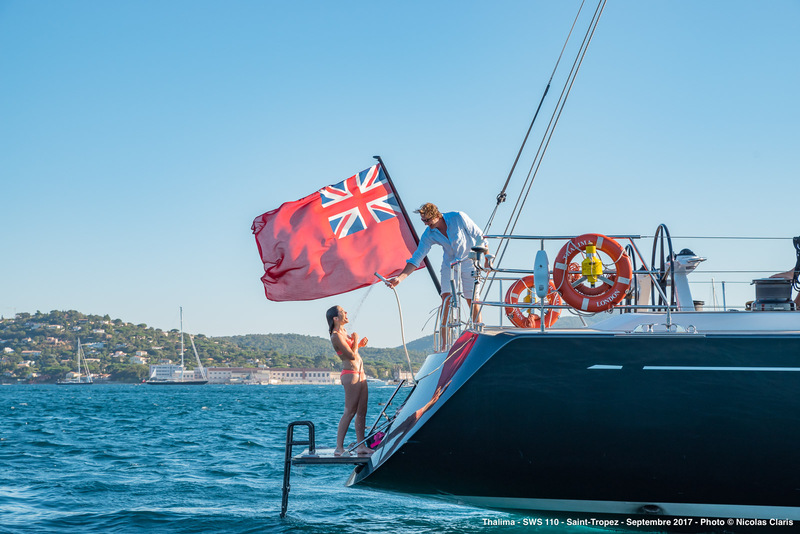 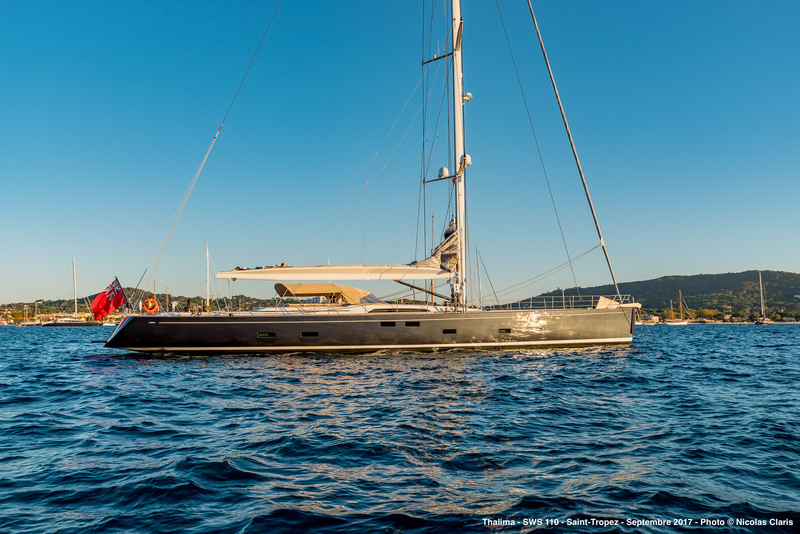 She is the hull no°1, designed by Farr Yacht Design team and Nauta Design. 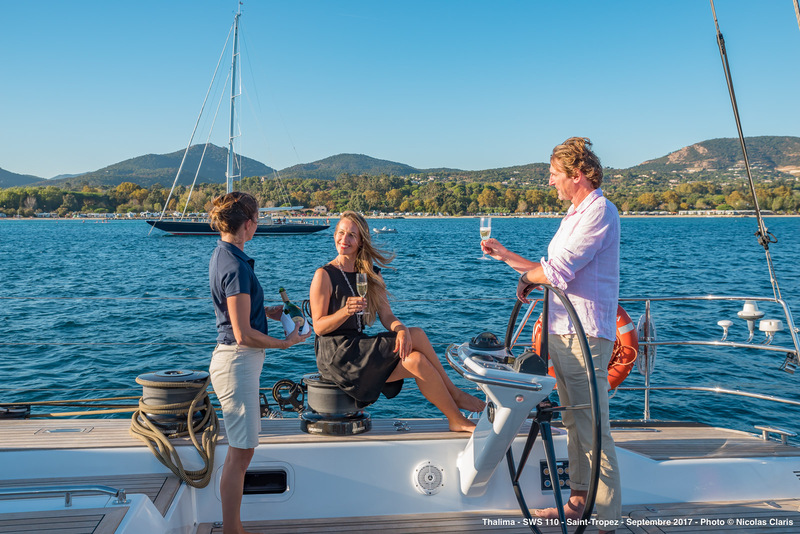 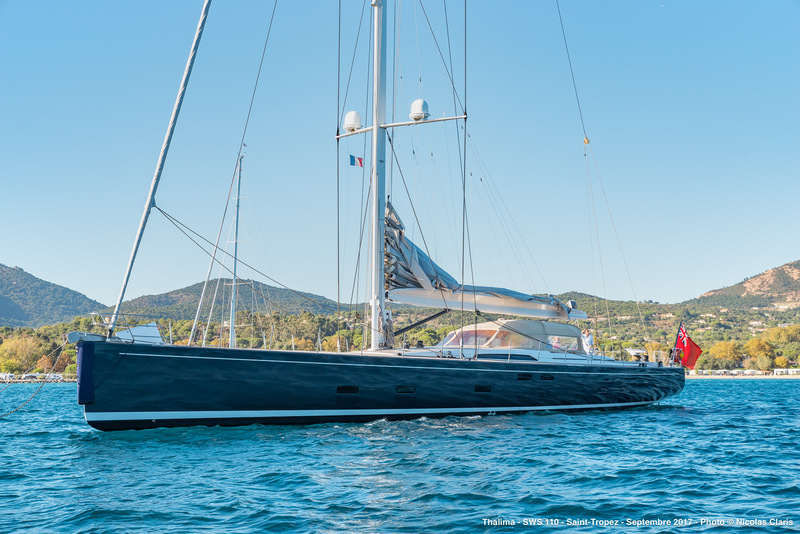 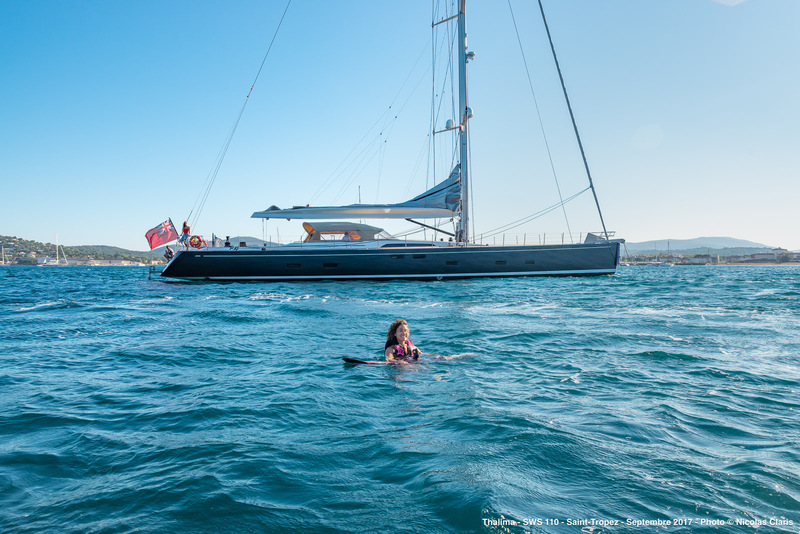 In keeping with the Southern Wind and Farr Yacht Design tradition Thalima has a fantastic sailing performance along with good looks and functionality. 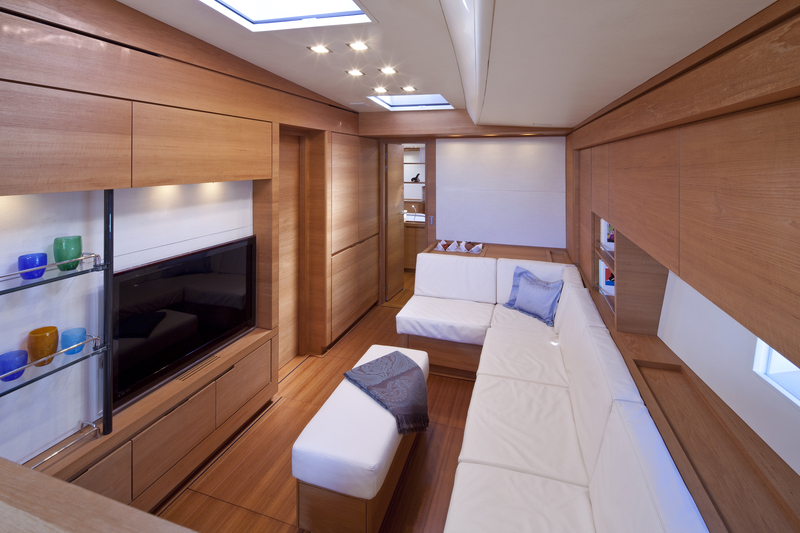 Thalima SW 110 RS provides clean lines as well as warm and welcoming spaces in which to experience the open waters. 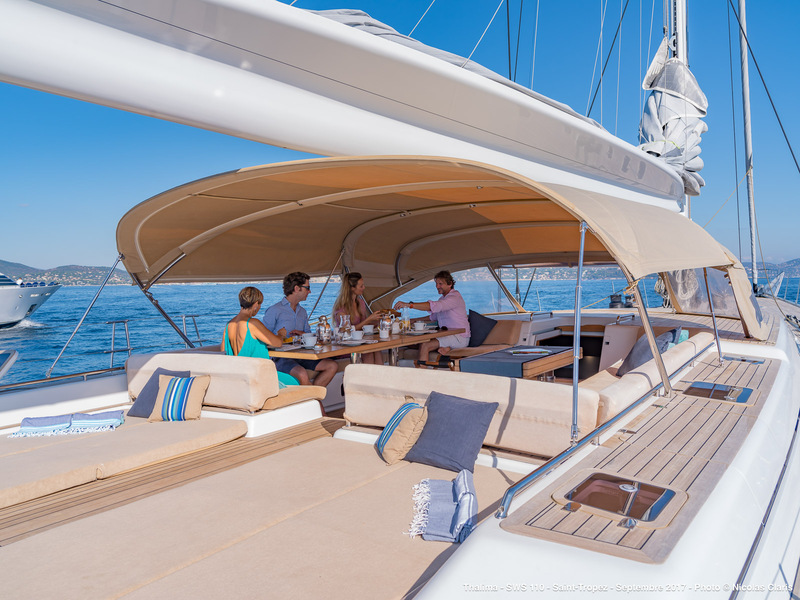 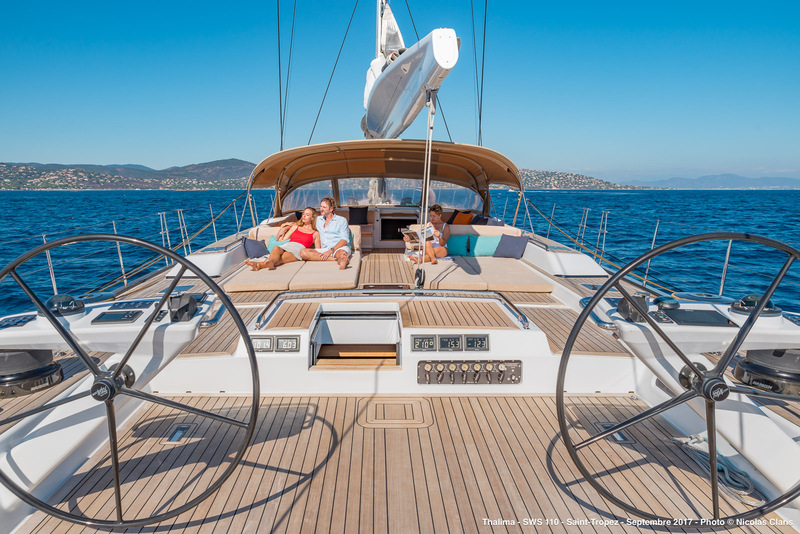 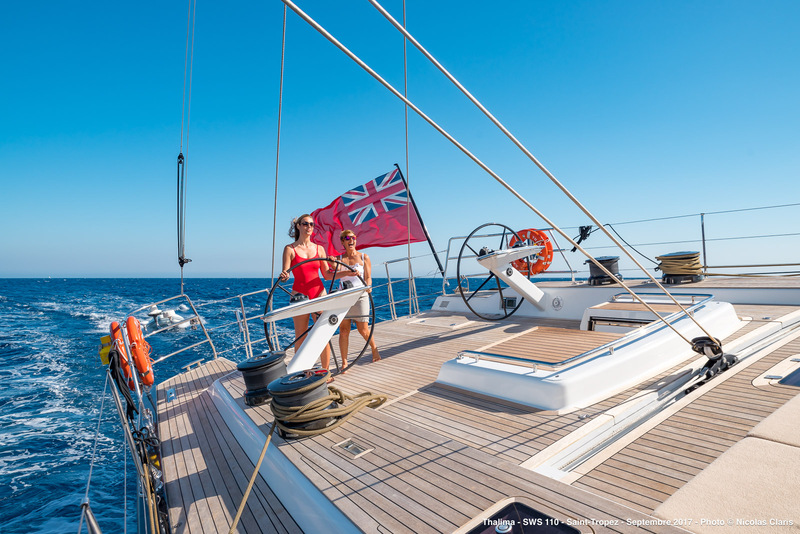 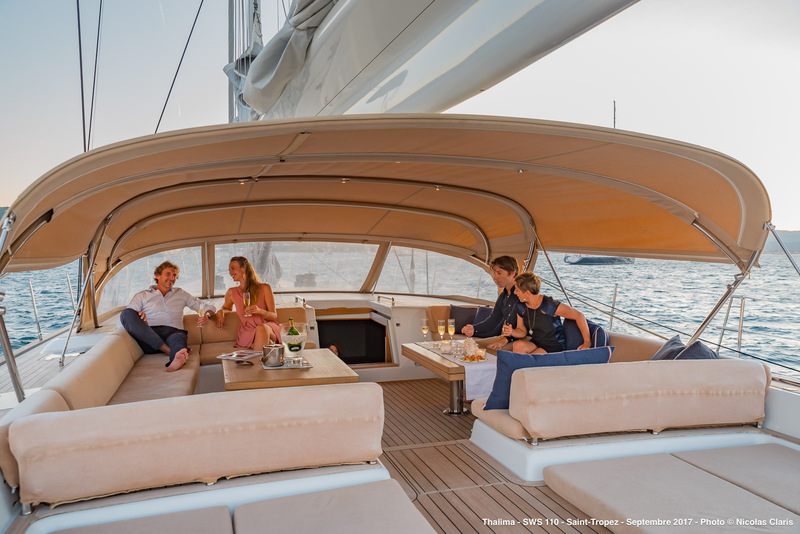 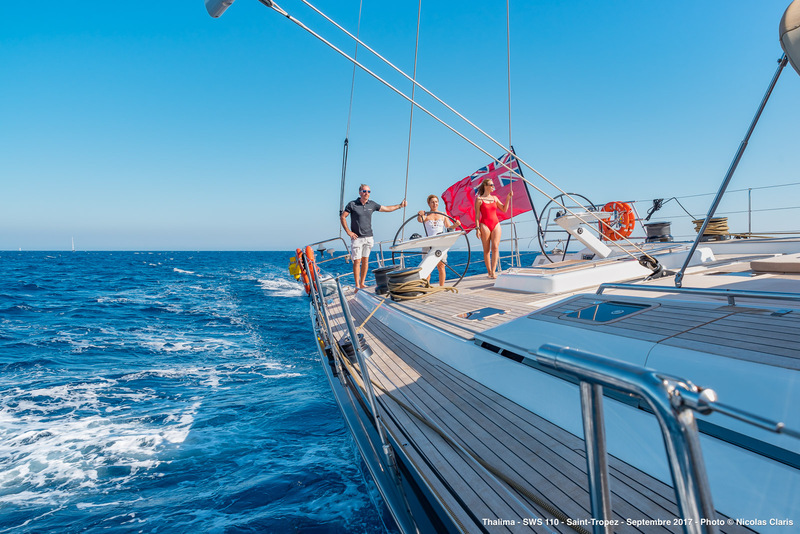 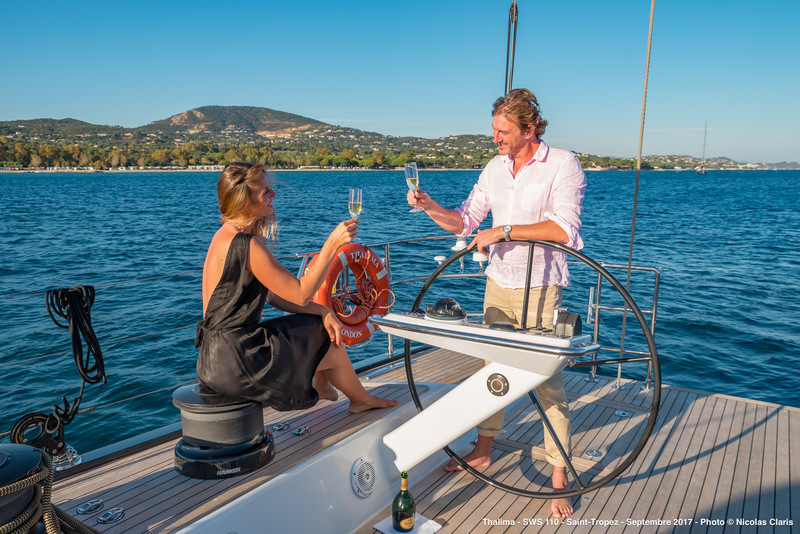 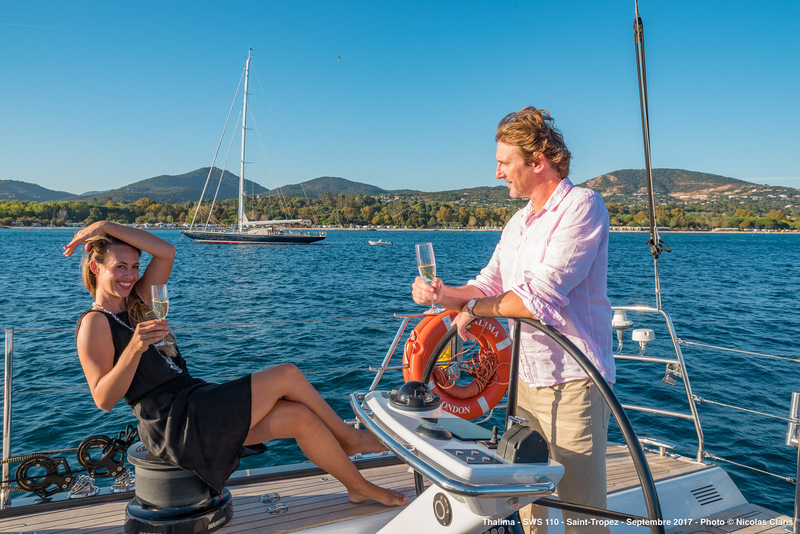 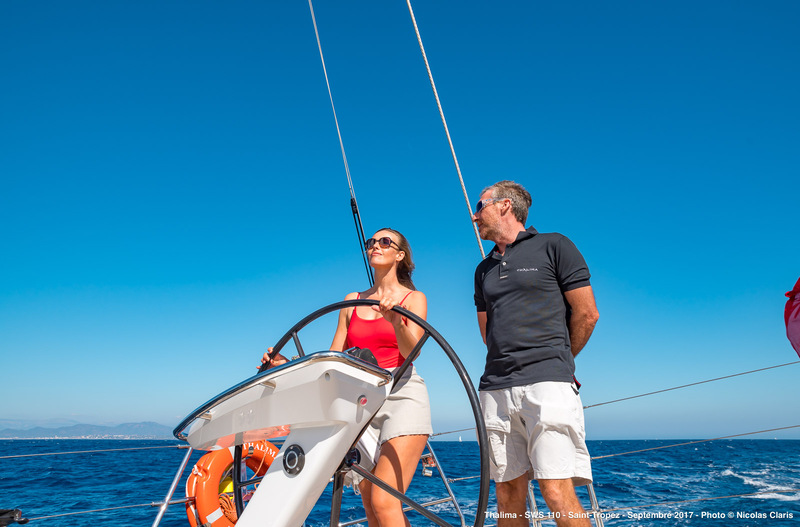 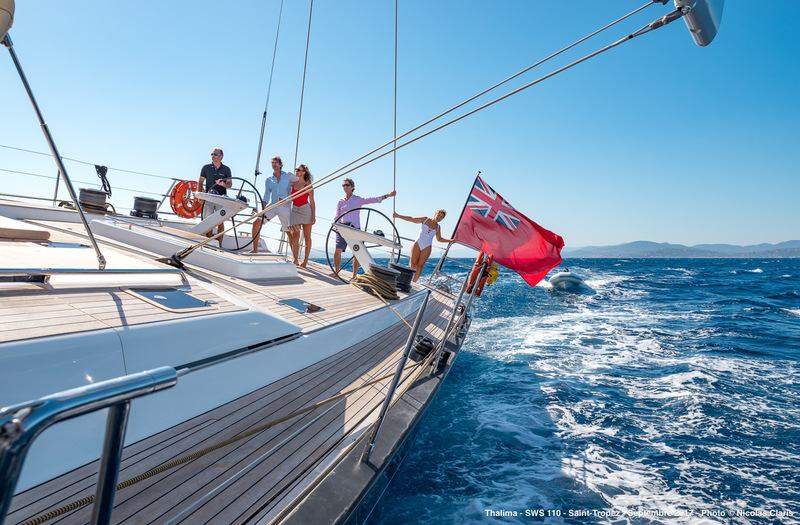 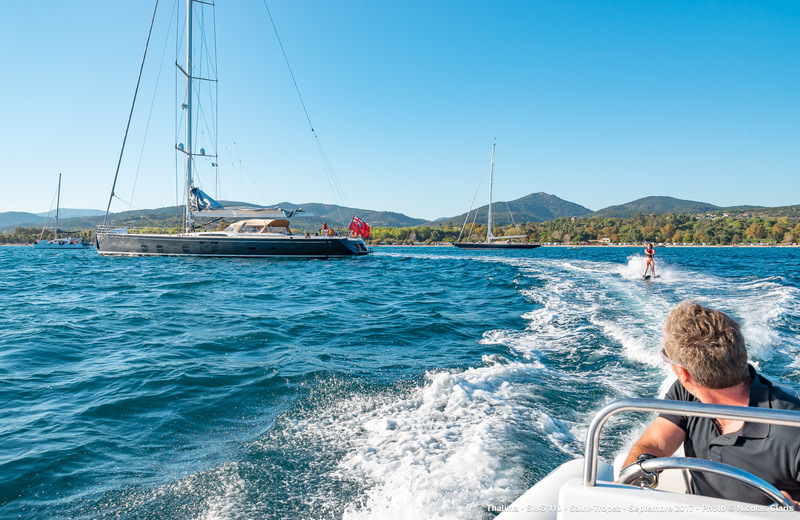 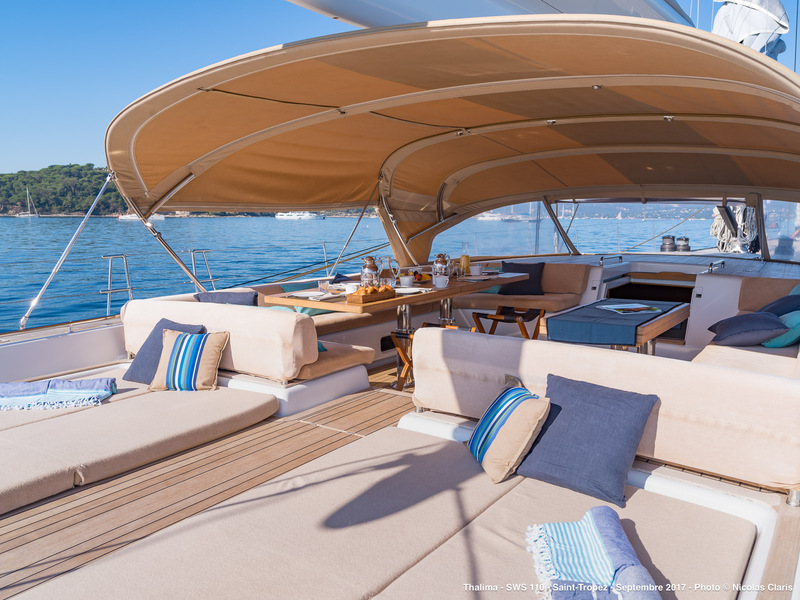 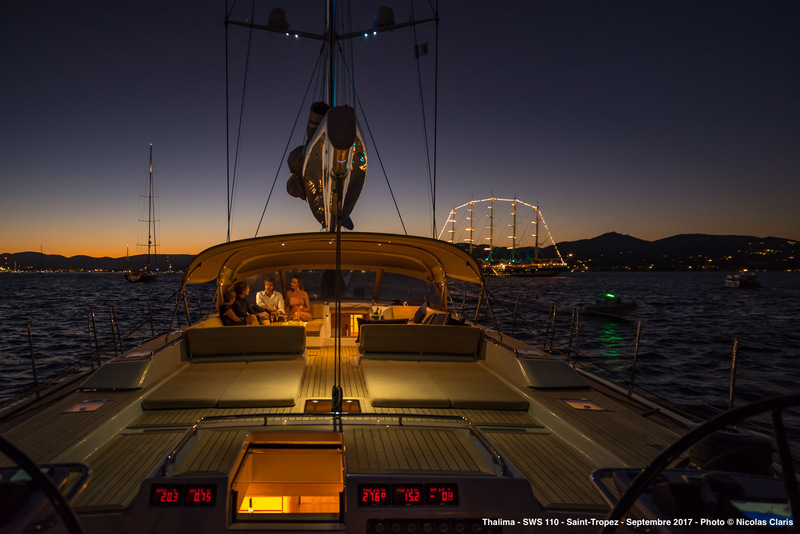 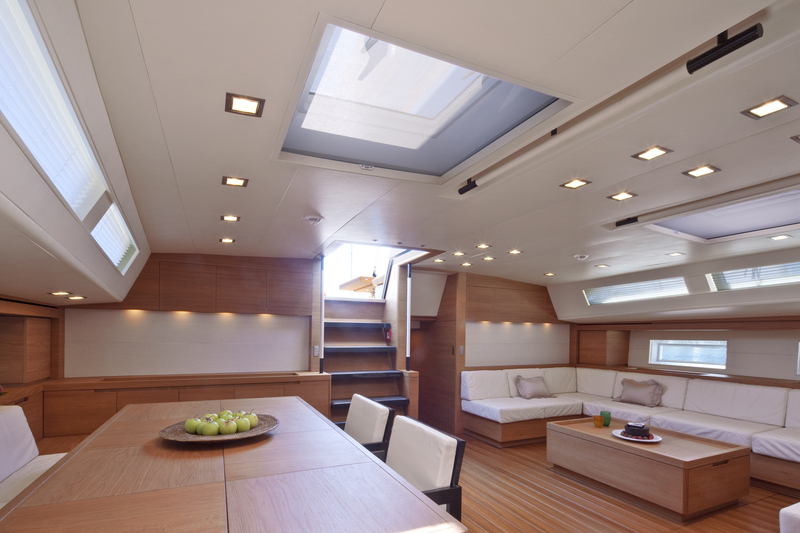 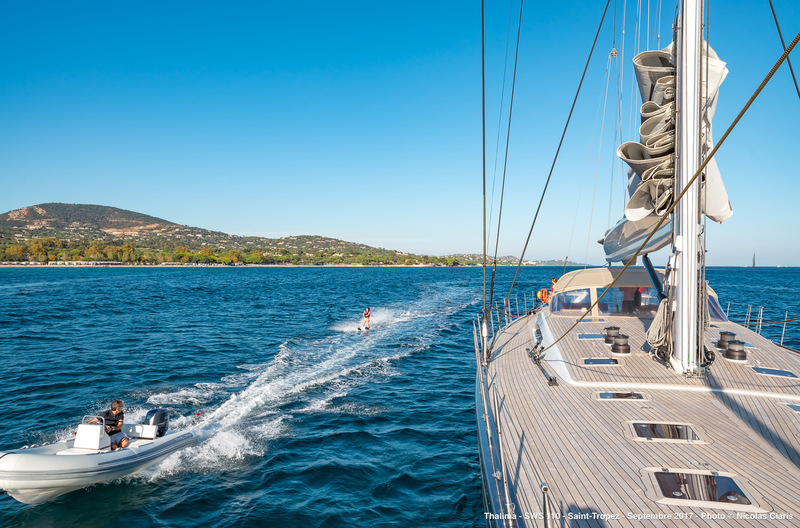 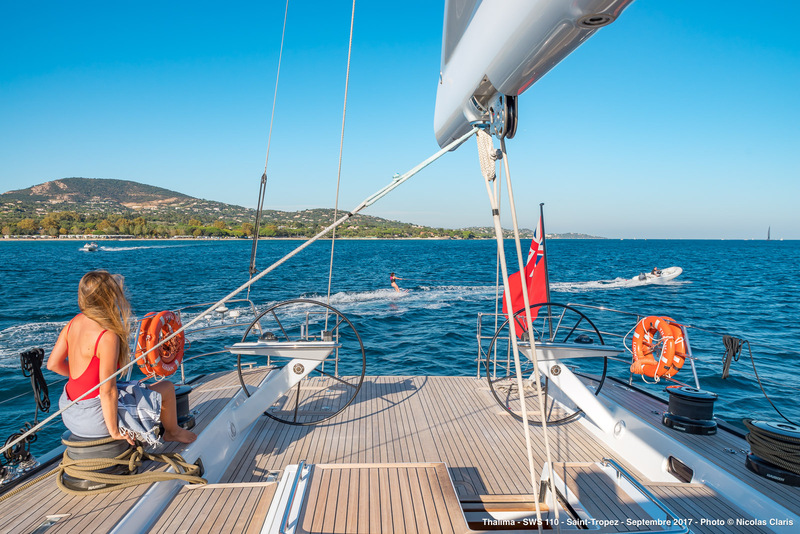 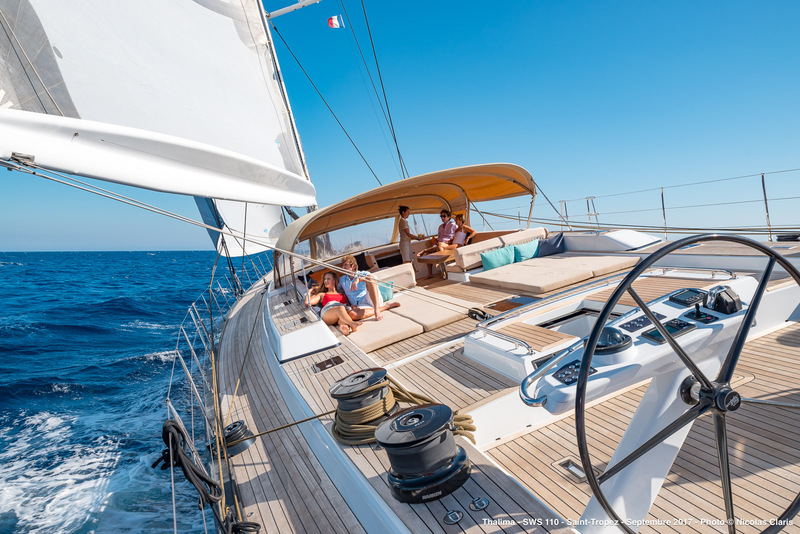 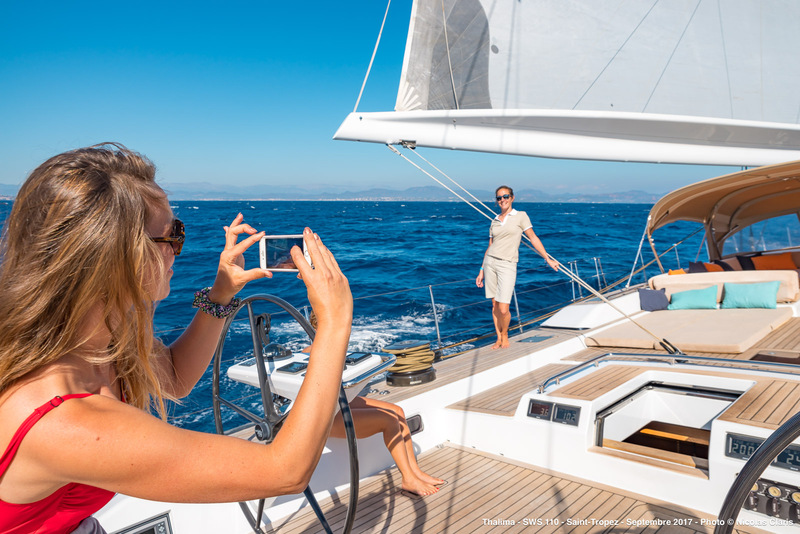 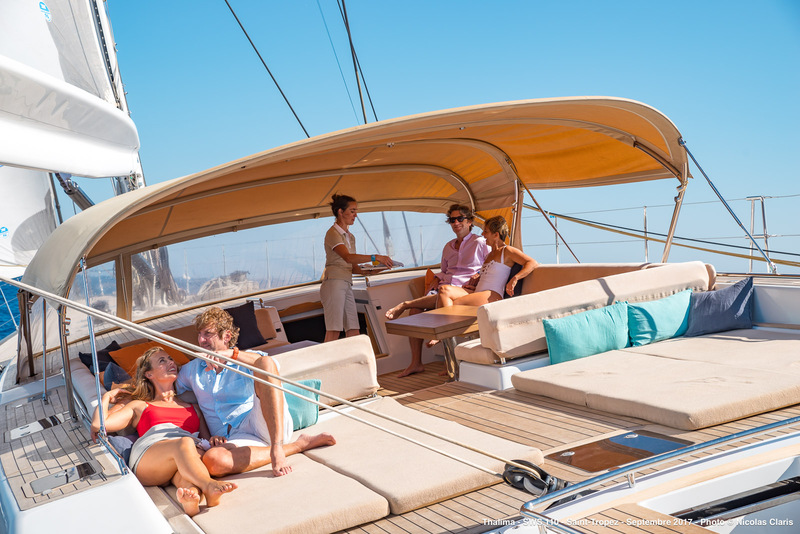 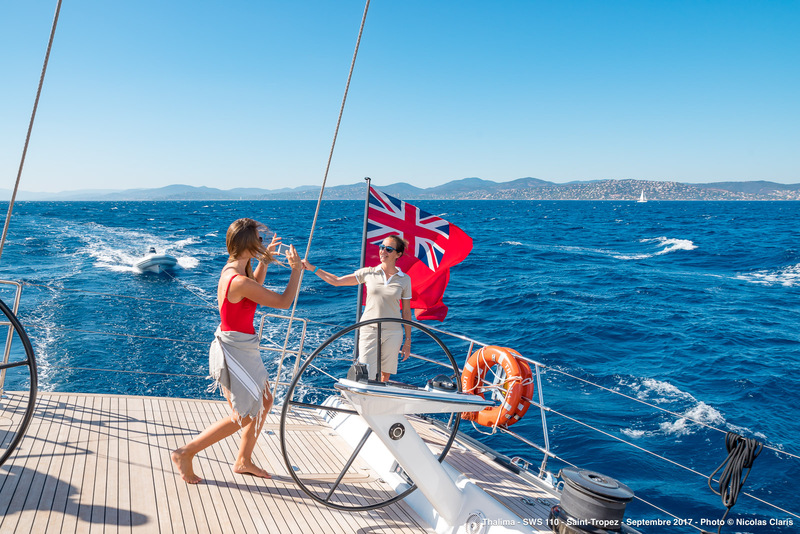 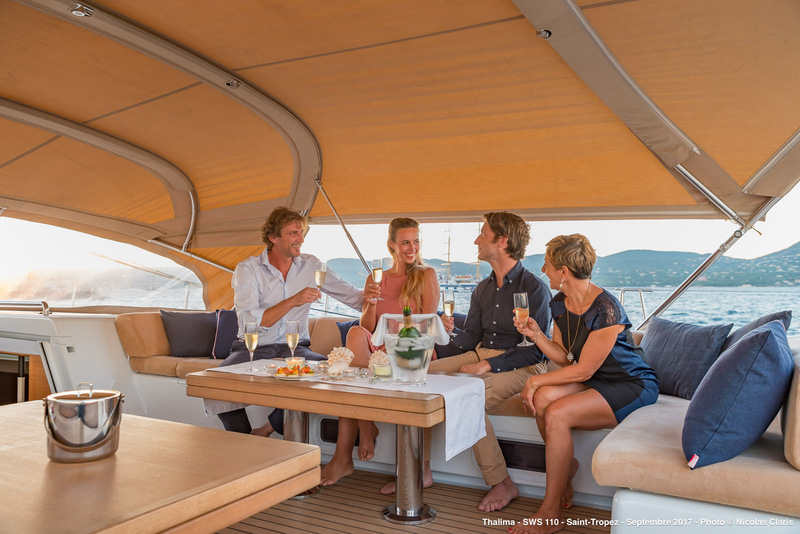 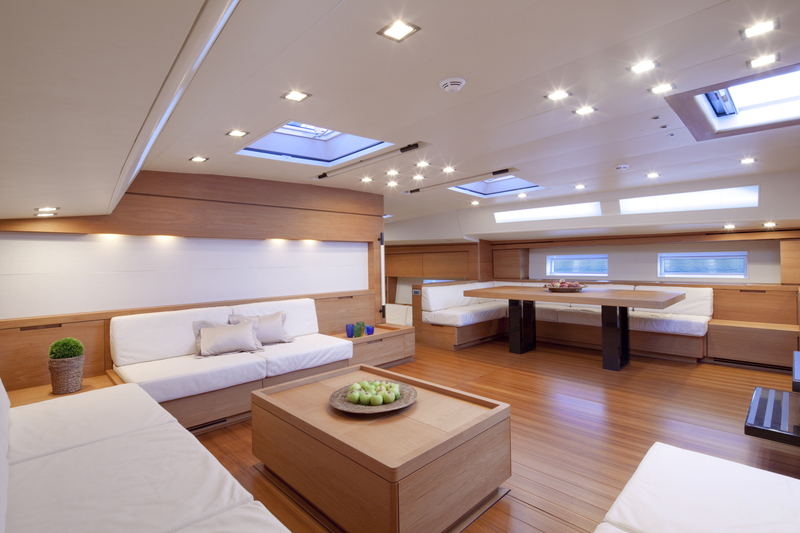 The sleek interior of the Thalima boasts a traditional, open layout as seen before in other smaller sailing yachts coming out of the Southern Wind shipyard. 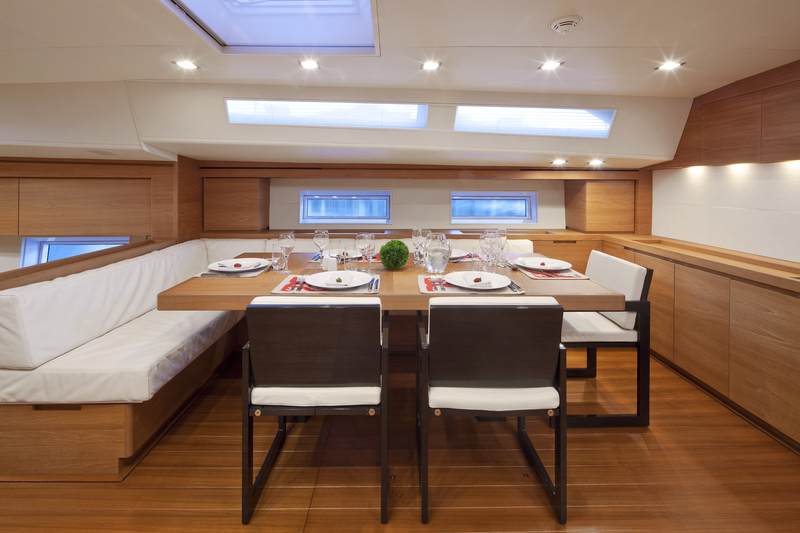 The crew’s quarters, as well as both twin guest cabins and the galley, are all located in the stern area of the boat while mid-ship you will find the saloon with a dining area as well as a VIP cabin and the owner’s cabin. 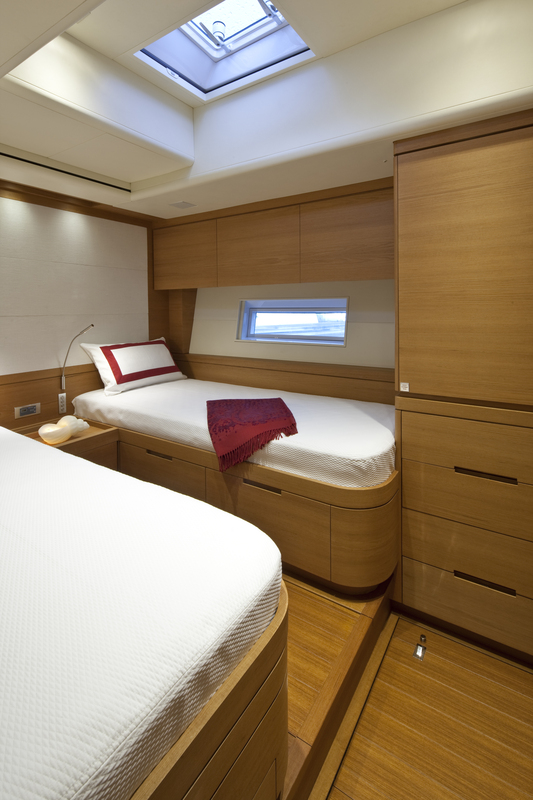 The owner’s cabin features a private study, a bathroom, and also a roomy walk-in wardrobe. 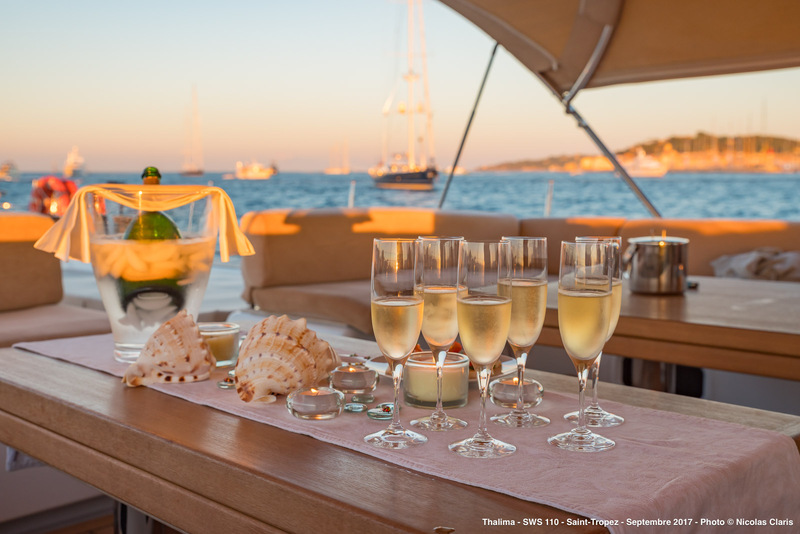 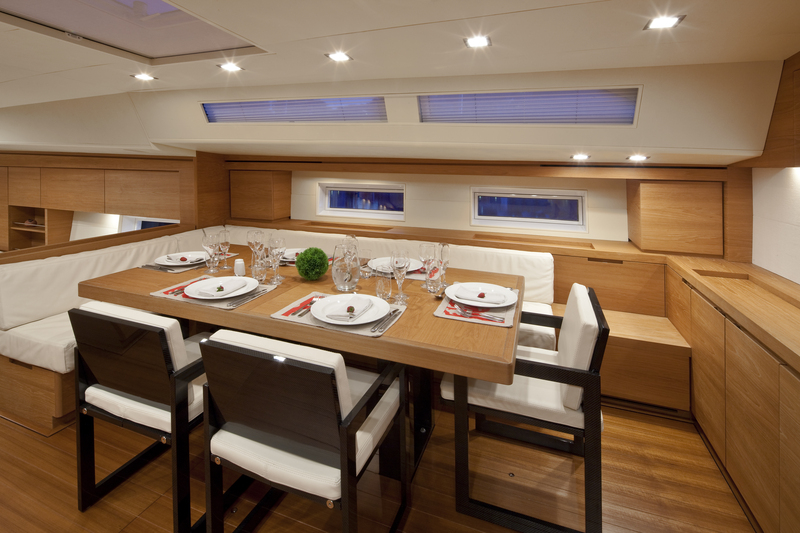 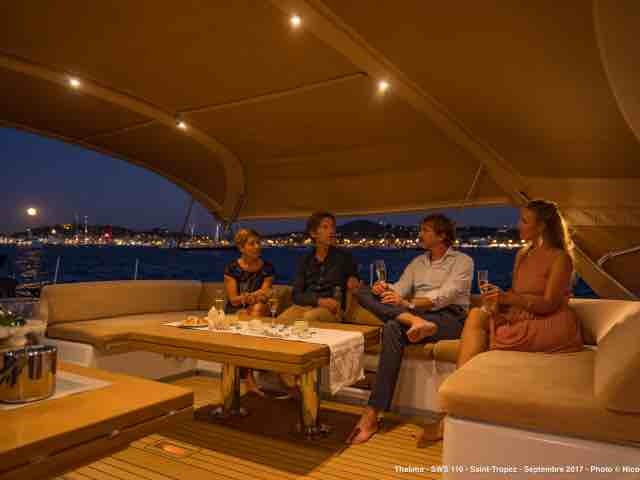 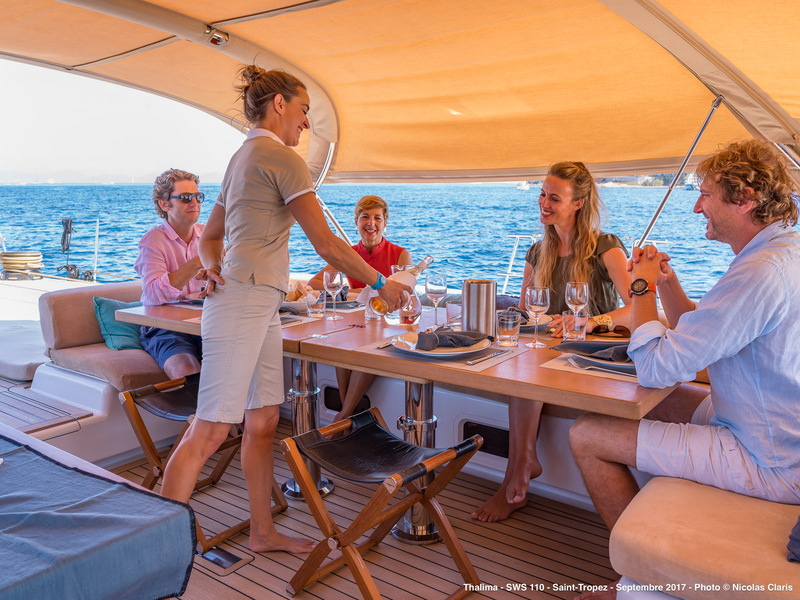 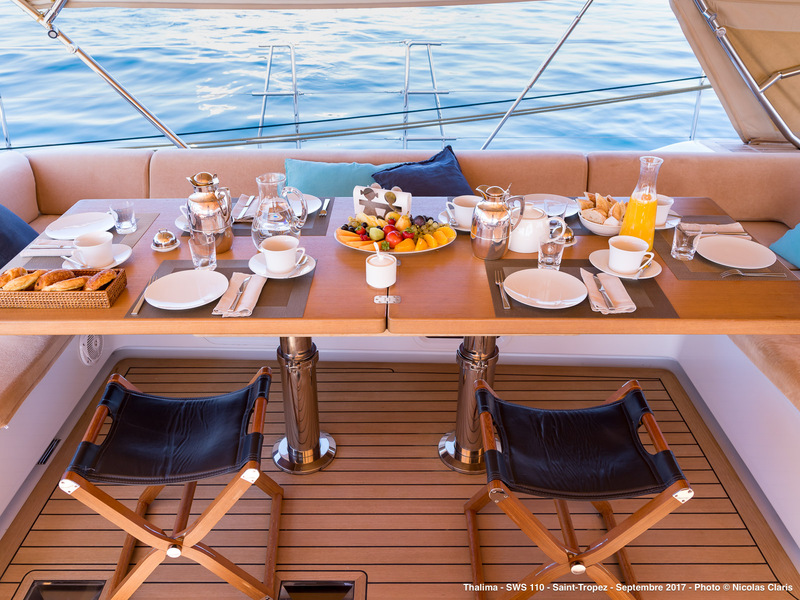 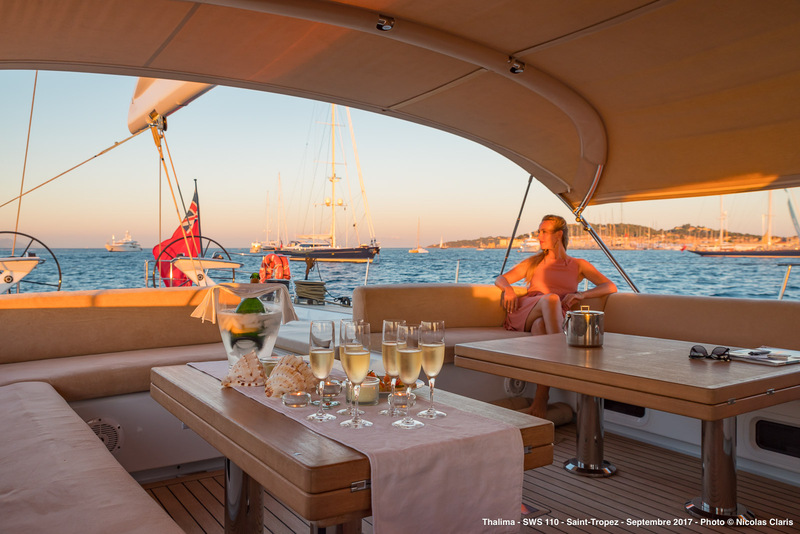 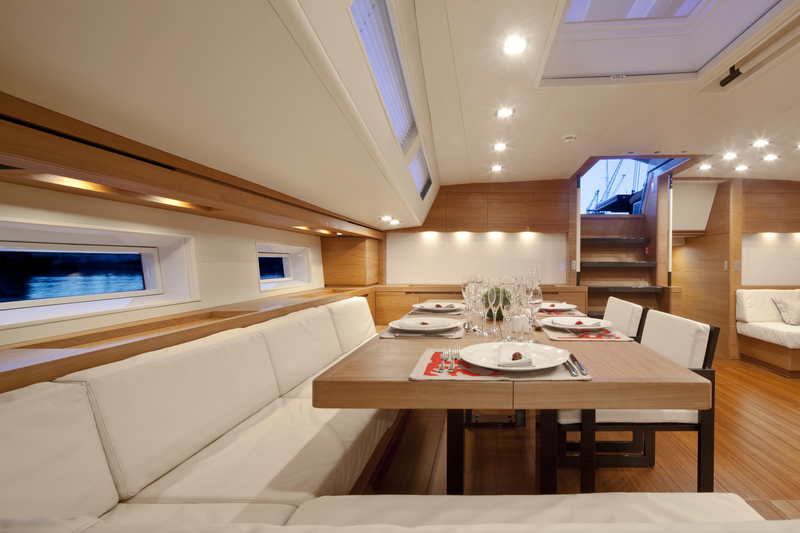 In the saloon, there is ample seating for guests port-side of the yacht with the dining area located starboard. 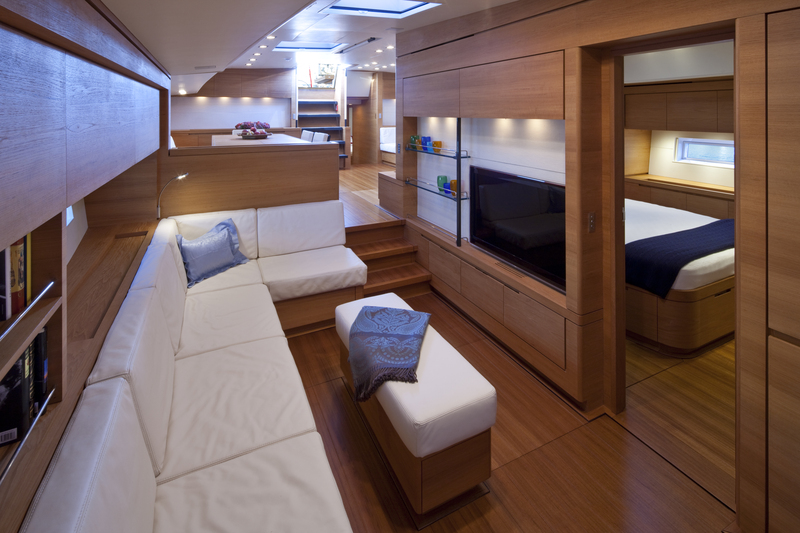 Walking down the ship’s stairs you will see another seating area that is fitted with a large screen television to enjoy. 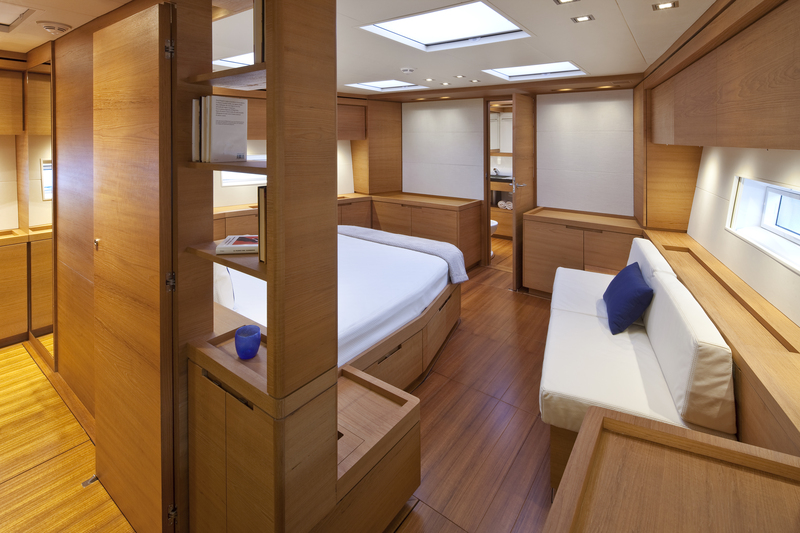 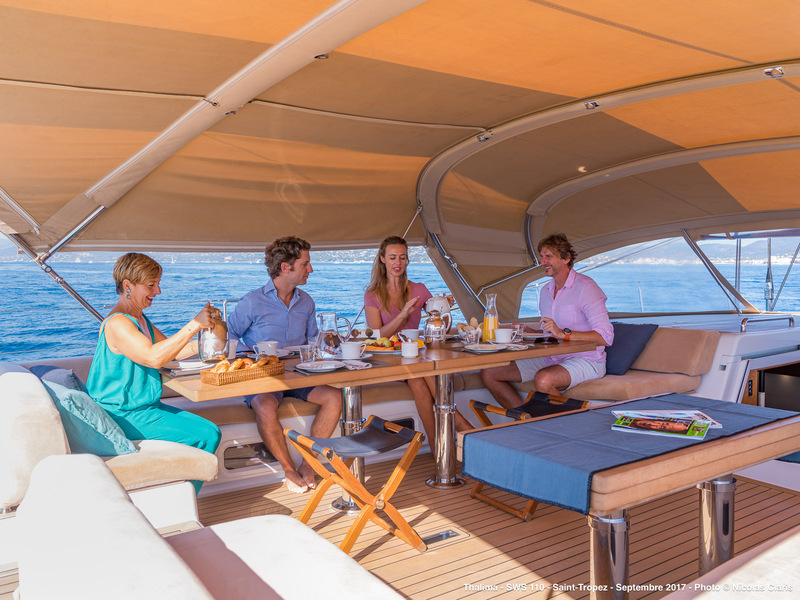 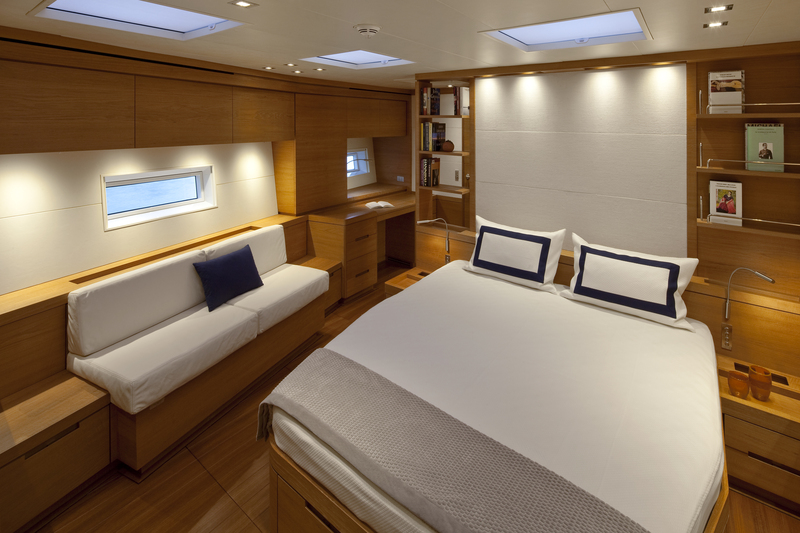 THALIMA provides accommodation for up to 10 charter guests in one Master cabin with a king-size bed and a full beam bathroom (with bath, bidet) with led light therapy. 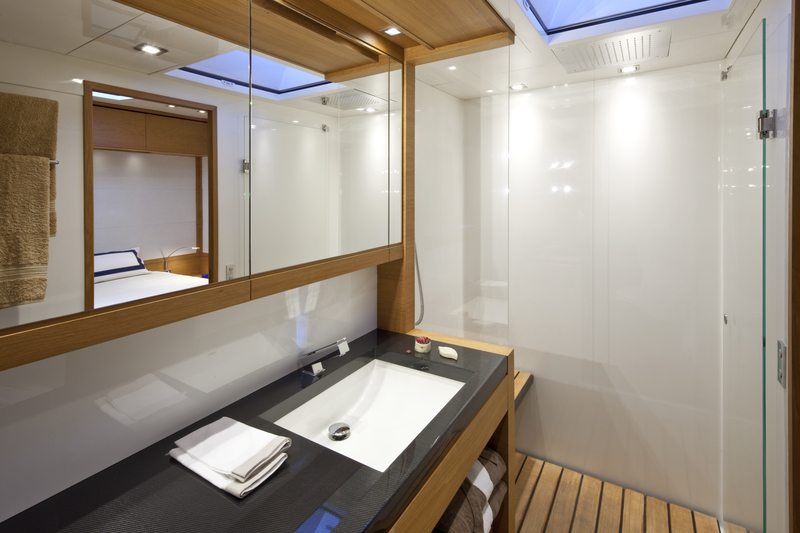 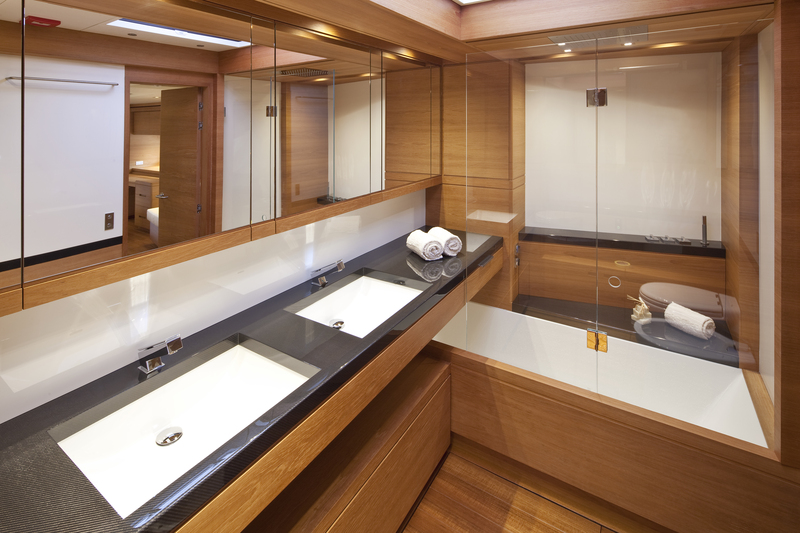 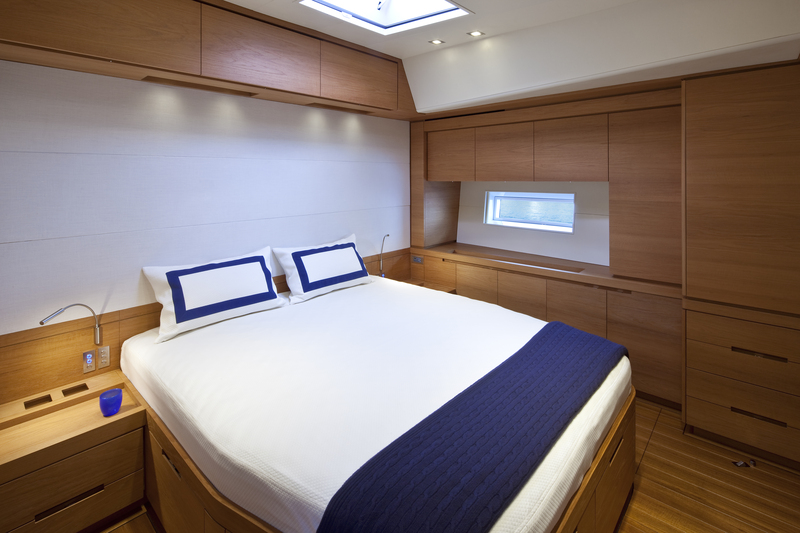 The VIP cabin has a king-size bed and a spacious bathroom with carbon-fibre sinks and also with led light therapy. 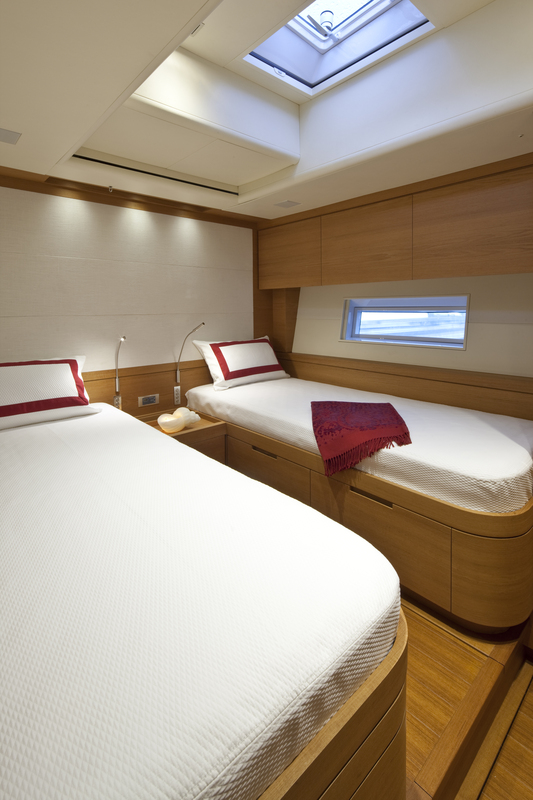 The two Twin bed cabins are both with en-suite bathroom and additional Pullman berth each. 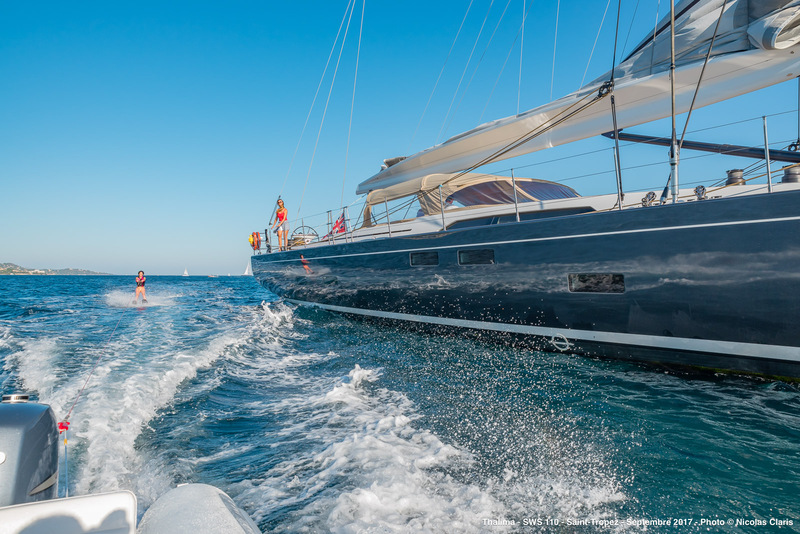 TENDERS & TOYS: ~ Tender: Novurania- Yamaha 60 hp 4 x stroke ~ Adult and children Carving waterski ~ Monoski ~ Wakeboard ~ Personal training for beginners for Waterskies, wakeboard and monoskies activities ~ 2 paddles boards ~ 1 kayak - 1 man ~ Towing ring (donut) ~ Snorkeling gears ~ Fishing gears ~ Beach games ~ Tubes ~ Deck shower and swim platform, bimini and dodger and sun bathing cushions. 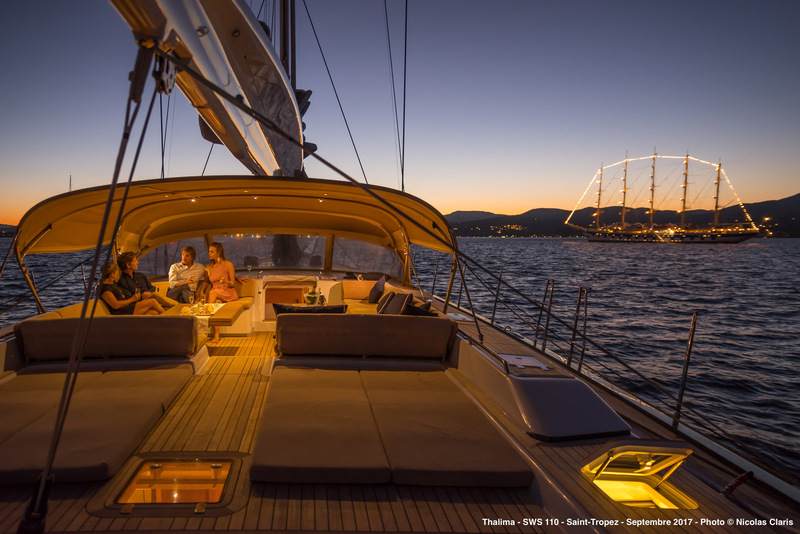 ~ SAILS: full cabon sails - North Sail brand.